If you’re a do-it-yourselfer, you probably already own a cordless drill/driver. So, you might be wondering why in the world would you need a cordless hammer-drill. Good question. A hammer-drill can drill holes and drive screws, like a drill/driver, but it’s also specially engineered to perform one other task: bore holes through concrete, brick, stone and other masonry materials with astonishing speed and ease. A hammer-drill combines bit rotation with concussive blows (hammering action) that absolutely pulverizes concrete. As a result, you can bore masonry holes at least three times faster than with a standard drill. Think of it as a mini-jackhammer. As the drill bit spins, an internal hammer pounds on the bit with machine-gun staccato to blast holes into the hardest, most abrasive masonry materials. (As with any drill, you must use carbide-tipped masonry bits for such applications. So now that you know the distinction between a hammer-drill and drill/driver, let’s take a quick look at common uses for the hammer-drill. Professional contractors, especially electricians and plumbers, use hammer-drills all the time to drill pilot holes for masonry screws. These screws, which are known by the trade name Tapcon, don’t require an anchor, but instead thread right into the hole. Therefore, the pilot holes must be accurately drilled, and there’s no quicker, better way to bore these holes than with a hammer-drill. However, to ensure the screws hold securely, it’s imperative that you use the masonry drill bit recommended by the screw manufacturer. During wood-frame construction, it’s often necessary to drill holes into concrete piers, slabs and footings for the installation of metal anchors. And often the holes are ½-in.-dia. or larger. A hammer-drill has the power and speed to blast through the concrete and whatever aggregate (gravel) it encounters. The easiest way to split large boulders and stones is to use iron wedges and feathers. Start by drilling a series of holes into the boulder with a hammer-drill. Next, insert into each hole two iron feathers and one wedge. Use a small sledgehammer to alternately tap each wedge deeper and deeper into the holes until the boulder cracks in two. A hammer drill is also the tool to use whenever you need to drill into brick or the mortar joints between the brick. Mortar is softer and easier to drill into than brick, but anchors and screws will bite more securely into brick. The same is true for drilling into concrete-block walls. With the hammer-drill mode switched off, a hammer-drill can be used like a standard cordless drill/driver for drilling holes and driving screws into a wide variety of materials. Here are a few things to keep in mind when shopping for a cordless hammer-drill. 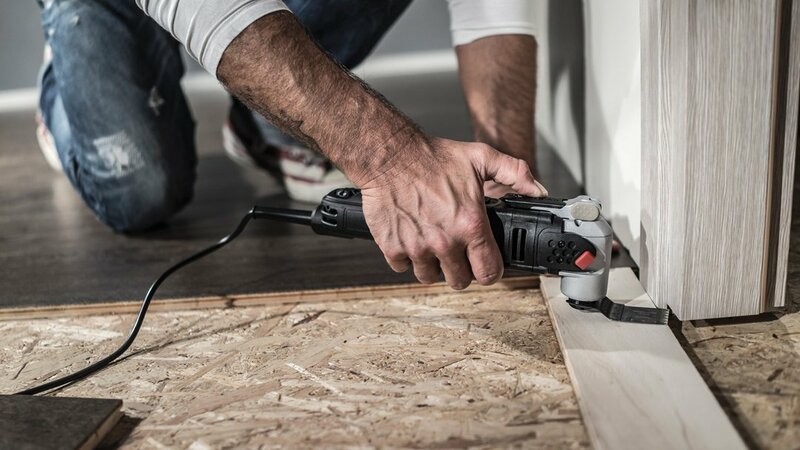 The latest advancement in cordless power tools is the advent of super-efficient brushless motors, which increase run-time up to 50 percent per charge over standard brushed motors. So, start by looking for a hammer-drill that has a brushless motor. For maximum hole-drilling and screw-driving power—without added weight—choose a hammer-drill that uses 20-volt lithium-ion batteries. And be sure it comes with two batteries, so that when one battery runs out of power, you’ll have a fresh battery on hand to keep on working. Also, check to see if the batteries have a fuel gauge, which conveniently shows the amount of charge remaining. 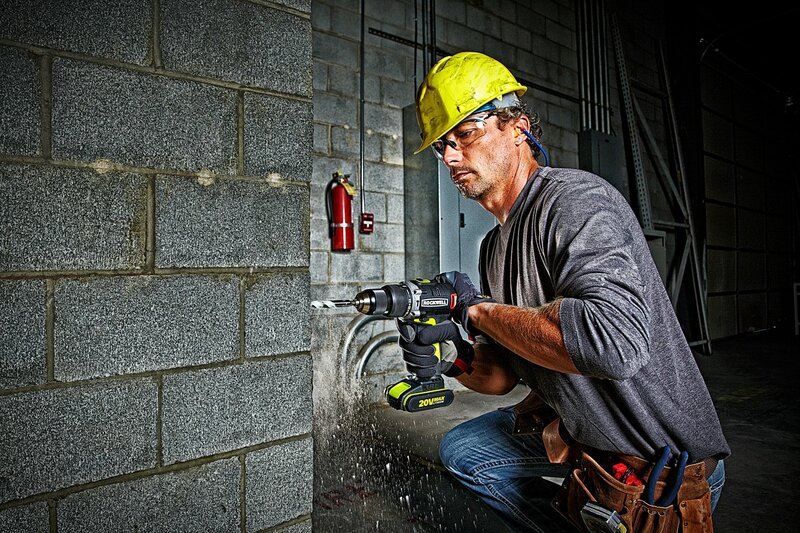 Your Next Cordless Drill: Feature Packed, Professional Quality What’s the Difference: Cordless Drill vs. Impact Driver?